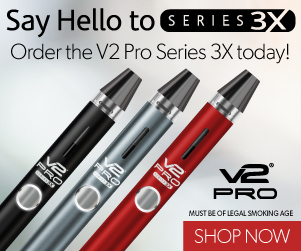 Most new e-smokers are glad to simply be rid of tobacco and accept the fact that most e-cigarette tanks and drip tips are made of plastic. As time goes by, however, you may want to further limit your exposure to chemicals by eliminating plastic. Some companies have stepped forward to fill this niche with glass e-cigarette tanks and drip tips. Although they typically cost more than plastic e-cigarette accessories, these glass products are more durable and beautiful. They also won’t react with your e-liquids. 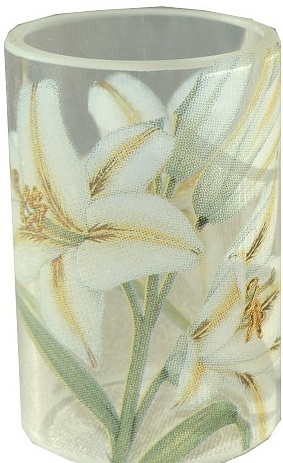 Quite simply, the Senisis could be the most beautiful glass e-cigarette cartomizer tank ever made. Priced at $84.95 at current exchange rates, the basic Senesis features a glass and stainless steel design. The higher-end models feature brass and padouk wood. This thing is absolutely stunning. It’s difficult to gather the technical details from the product description, but it appears that the Senesis isn’t just a standard punched hole cartomizer tank. Rather, it seems to be a complete atomizer system with replaceable wicks and stainless steel mesh. Sadly, if you aren’t already on the waiting list for the Senisis, it looks like you’ll be waiting a while for one. At the time of writing, Senio has 493 pending orders to fulfill and new orders are not being accepted. Also, rebuildable atomizers can ruin e-cigarettes if the coils are wired improperly. The next entry in this list of glass e-cigarette drip tips and tanks brings us from clean industrial design to pure whimsical artistry. 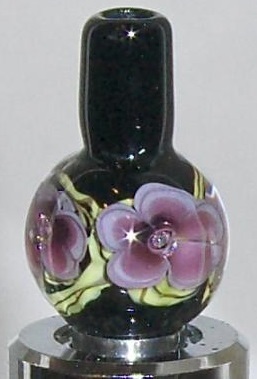 ECF member Teena used her considerable skill in glass and metal working to create a small home business making beautiful glass drip tips in 2012. She quickly expanded beyond the confines of the forum thread to launch a shop on Etsy, where she makes her creations available to e-smokers around the world. While the glass drip tip pictured here is my favorite, each one is unique and there’s no way that I could illustrate the full range of the artist’s creativity with a single picture. I absolutely love Pyrex. I prep with it, bake with it, microwave with it — and often eat off of it as well. Pyrex’s durability and tolerance to heat makes it a natural choice of materials for glass e-cigarette tanks, and Phiniac is undoubtedly one of the top names in this niche. The Phiniac is designed to hold a standard Boge-style cartomizer with a hole punched in the side; simply pick a tank, provide your own cartomizer and enjoy the super-sized e-liquid capacity that a glass e-cigarette tank provides. There’s such an enormous variety of tanks available that you’re certain to find something to fit virtually any style. 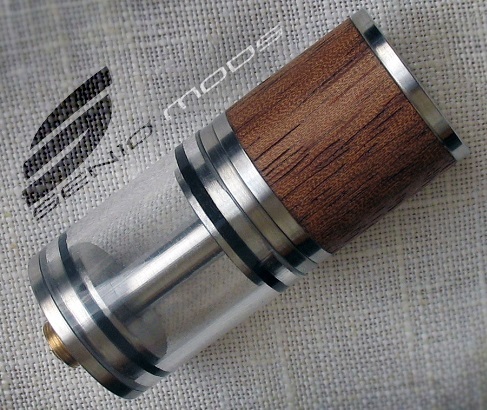 Phiniac’s range includes hand-blown, sandblasted, frosted and textured glass e-cigarette tanks along with a more expensive line coated with wood veneer. Although the basic “naked tank” is priced at $38, the price does ramp up quickly as the designs become more elaborate. 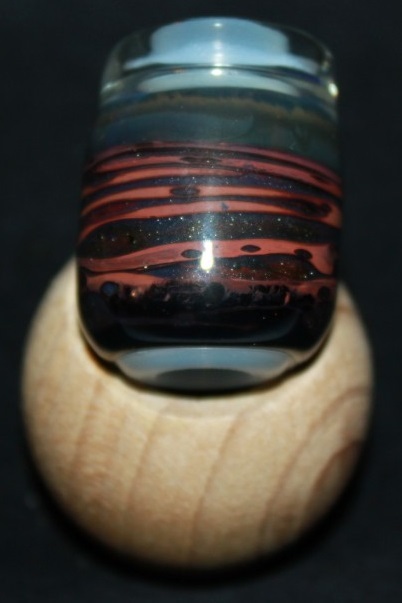 Glass artist Stephan Hagstrom has created a wide variety of glass drip tips and sold them trough the above website and at least one local shop in Idaho. The level of detail in some of his pieces is so minute that the lines and swirls appear to go on forever. It isn’t clear at the time of writing whether Hagstrom is still making glass drip tips, but it looks like they are definitely worth seeking out. I have been unable to find pricing information. 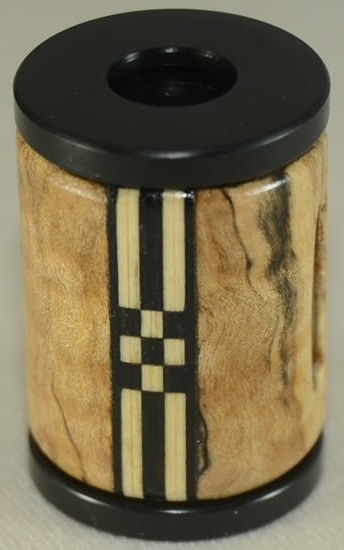 If your tastes lean toward the abstract, these unique Pyrex e-cigarette tanks by High Desert Vapes might be just the ticket. Each design is made only once, do you’ll need to watch the website closely and buy the tank you like quickly before someone else scoops it up. High Desert Vapes also makes glass drip tips. If glass isn’t your thing, a quartz e-cigarette tank might be more to your liking. Bedazzle keeps the cost down by using fuzed enamel transfers rather than pure glasswork for its designs, and as a result even their most expensive tanks top out at around $20. Quartz is an extremely durable material, and Bedazzle makes quartz e-cigarette tanks in sizes that can serve as adequate replacements for many popular tanks such as the Senisis. A few Pyrex tanks are also available. Like the quartz tanks, they cost significantly less than what other merchants charge. 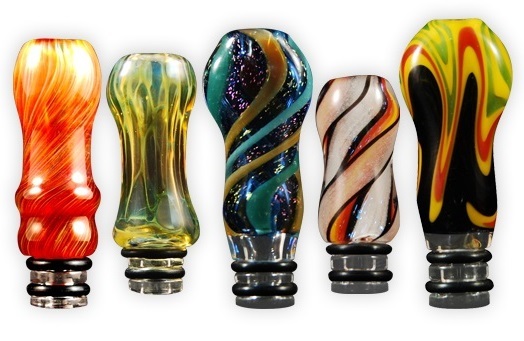 Starting at $25, Trippy Tips makes beautiful art glass drip tips for 510 atomizers and cartomizers. Although they also made drip tips for other atomizer types in the past such as L88B/306 atomizers, it appears that they’ve recently pared their product selection to 510 drip tips only — perhaps because that’s the style just about everyone seems to use these days.